The caffeinated contents of energy drinks like Red Bull and Monster can be dangerous for teens, especially when combined with alcohol, new research confirms. A report, published on Feb. 1 on Pediatrics in Review, reiterated that energy drinks can cause insomnia, rapid heartbeat, high blood pressure, anxiety and obesity among other issues which can be exacerbated by alcohol. Other side effects include concerning behaviors, which can include drunk driving and risky sexual behavior. "I don't think there is any sensationalism going on here. These drinks can be dangerous for teens," review lead author Dr. Kwabena Blankson, a U.S. Air Force major and an adolescent medicine specialist at the Naval Medical Center in Portsmouth, Va., told HealthDay. "They contain too much caffeine and other additives that we don't know enough about. Healthy eating, exercise and adequate sleep are better ways to get energy." Making things worse, study authors said, that energy drink makers constantly market to young people, leading them to think it's okay to mix their drinks. These adolescents and young adults aren't always aware that mixing alcohol and energy drinks can make them feel less drunk than they really are, they said. Drinking just one caffeinated beverage mixed with alcohol can be the same as drinking a bottle of wine and several cups of coffee, according to the study. Sixteen-ounce energy drinks have about 160 mg of caffeine, compared to one average cup of coffee which only contains 100 mg. More than 100 mg a day of caffeine is unhealthy for teens, Blankson told HealthDay. 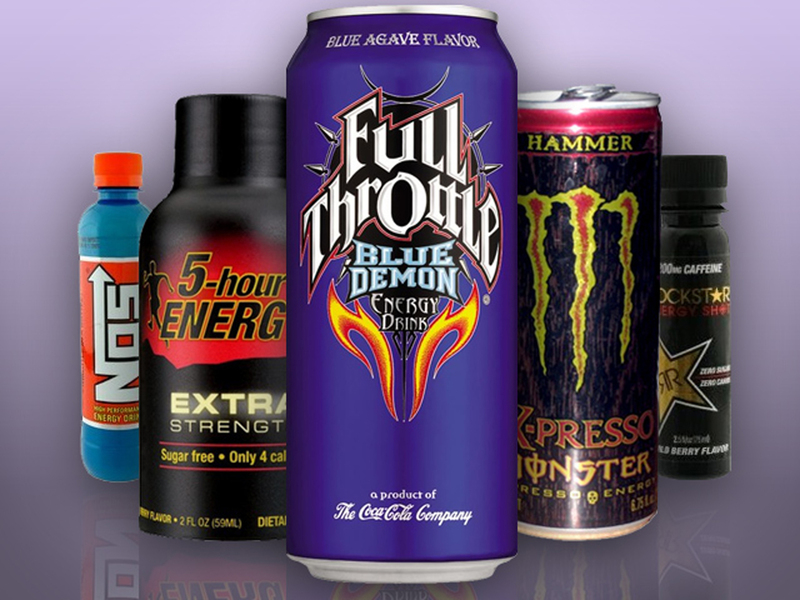 Other additives like sugar, ginseng and guarana boost the caffeinated effects in the energy drinks. About 25 percent of students in North Carolina universities said they had drank an energy drink and alcohol mixture in the month prior to taking the survey, the report said. Another study on the subject published in CMJA Open on Jan. 16 showed that when researchers surveyed 36,155 students in seventh through 12th grade about their alcohol and energy drink consumptions levels, about 20 percent said they mixed the two beverages. The 2010 to 2011 statistics matched previous studies on the subject matter conducted in Canada, the U.S. and Europe. Jennifer Hartstein, a child and adolescent psychologist in New York City, told Forbes that the caffeine addiction may start at home. Parents often tell their children that caffeine is a natural way to "get energy or feel good." Hartstein said children shouldn't feel pressured to do more than they are capable of. "It's okay not to do everything," Hartstein explains. "The belief is the more that you do, the more desirable you are. Unfortunately, you are then spread way too thin." The American Beverage Association (ABA) said that the problem isn't the energy drinks themselves per say but underage drinking in general. "This paper contains misinformation about energy drinks and does nothing to address the very serious problem of underage drinking and excessive alcohol consumption among young adults," the ABA said to CBSNews.com in a statement. "Moreover, ABA member companies manufacture non-alcoholic beverages - including energy drinks. Contrary to the misperception perpetuated by this paper, most mainstream energy drinks contain only about half the amount of caffeine of a similar size cup of coffeehouse coffee. Energy drinks, their ingredients and labeling also are regulated by the U.S. Food and Drug Administration. Importantly, the American Beverage Association has adopted, and encourages all energy drink companies to adopt, a Guidance for the Responsible Labeling and Marketing of Energy Drinks. Under this Guidance, companies voluntarily display caffeine amounts from all sources on their packages along with an advisory statement that the product is not intended or recommended for children, pregnant or nursing women and persons sensitive to caffeine." "Let's stick with the facts, rather than perpetuating sensational untruths which attempt to blur the line between energy drinks and alcoholic beverages," the ABA added.